Made from antibacterial, quick dry, wicking athletic material. Stabilized with elastic at both top and bottom edges with reinforced stitching. Comes with your number vinyled on at 2.5" tall. 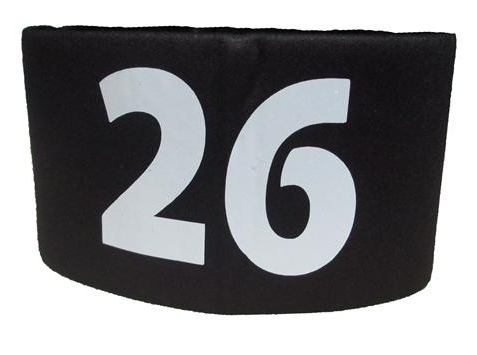 Black Arm Band with White vinyl. Please email if you want a different colour or leave comment at checkout. Measure on a straight arm.